The Sam Houston Memorial Museum has been awarded the highest honor a museum can receive--accreditation by the American Association of Museums. Accreditation certifies that a museum operates according to standards set forth by the museum profession, manages its collections responsibly and provides quality services to museum visitors. Of the 8,000 museums nationwide, only some 750 are accredited. 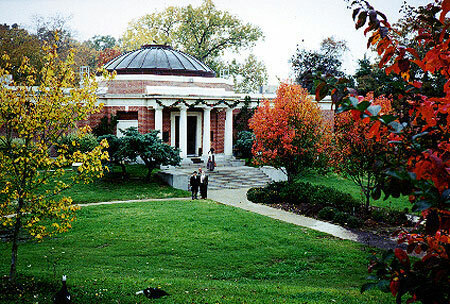 The Sam Houston Memorial Museum is one of only four accredited museums at Texas universities, joining facilities at the University of Texas, Texas Tech, and Baylor. "We hope the people of Texas share our pride in having earned this prestigious honor," said Patrick Nolan, director of the Sam Houston Memorial Museum. "This process was rigorous and demanding, as we examined virtually every aspect of our museum's operations," Nolan said. "A year of self-study and an on-site review by a team of experienced museum professionals was required. "We invite anyone interested in Texas history and General Sam Houston to help us celebrate this award by visiting the Sam Houston Memorial Museum and exploring our programs and exhibits." Patrick said the accreditation process was a team effort, and listed those who were especially instrumental in its successful conclusion. They include: SHSU President B.K. Marks; Don Coers, and Ray Reiner, to whom at various times the museum reported; members of the Museum Advisory Board--Una Grace Nash, Marilyn Sibley, Caroline Crimm, Tom Rogers, Edith Watson, Vicki Davis, Helen Bass, Robert C. Berry, Jr., Stan Foley, Brian Miller, Barbara Lewis, and Beth Miles. Museum staff who wrote parts of the self-study were Mac Woodward, curator of collections, Derrick Birdsall and later Gene Pipes, curators of education, Dave Wight, curator of exhibits, with support from Richard Rice, Judi Baldwin, Rose Botkin and Misty Schwartz, historical interpreters and Sarah Padon and Sandra Rogers, collections assistants. Patrick also thanked secretary Kathy Shute for preparing the report and Carey Jordy, Smooth Lawson, and Dennis Williams for having the buildings and grounds in excellent condition. "This puts us in a much more competitive position in soliciting funds," said Nolan, "and we are going to be looking for money." Founded in 1936 during the Texas Centennial Celebration, the main museum is undergoing a revitalization project involving a complete re-design of its exhibits. The Sam Houston Memorial Museum is dedicated to the life and times of General Sam Houston, former Governor of Tennessee, victor over Santa Anna in the Texas War of Independence, president of the Republic of Texas, senator from the State of Texas and governor of the State of Texas. The Sam Houston Memorial Museum complex is located at the corner of 19th St. and Avenue N, and includes, in addition to the main museum, Sam Houston's Woodland Home, the Steamboat House, in which he died, the Walker Education Center, and other exhibits and buildings as well as an 18-acre remnant of the 200 acres of farmland once owned by Sam Houston. Hours of operation are from 9 a.m. to 4:30 p.m. Tuesday through Sunday. Period demonstrations (also known as Raven's Rendezvous) are generally offered the third Saturday of each month. 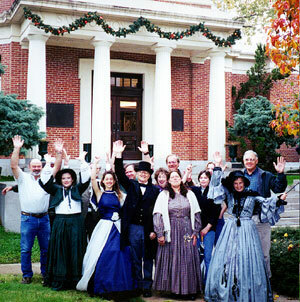 On Dec. 16 the museum will hold its holiday celebration with events including a "Great Texas Book Fair" from 9 a.m. to 4 p.m. in the Walker Education Center, a Christmas concert by the Huntsville Youth Orchestra from 10-11 a.m. in the Walker Education Center and Raven's Rendezvous from 10 a. m. to 2 p.m. on the museum grounds. Also, Candlelight Open House & Home Tours from 5-7 p.m. in the Woodland Home, Steamboat House, Houston Kitchen and Law Office, and Folk Music at the Museum from 4 p. m. to 10 p. m. in the Exhibit Hall and on the grounds. For further information on the museum or any of its activities call 936.294.1832 or access the museum's web site.